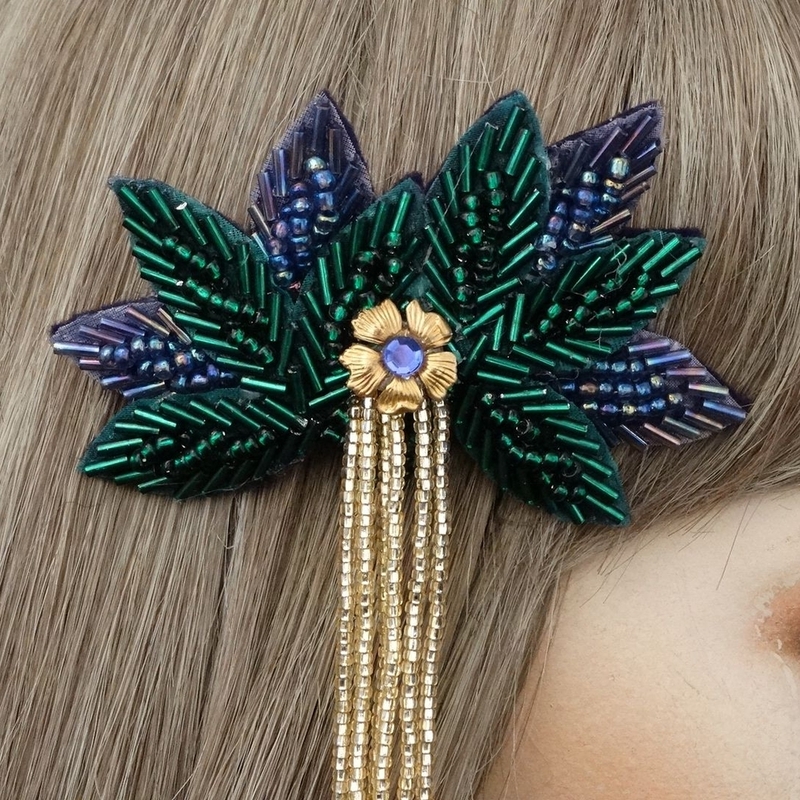 Marissa hair clip is a purple, green, and gold glass beaded hair clip from Gypsy Renaissance’s Hair Clips collection. Embellished with gold dangles and finished with an amethyst rhinestone. 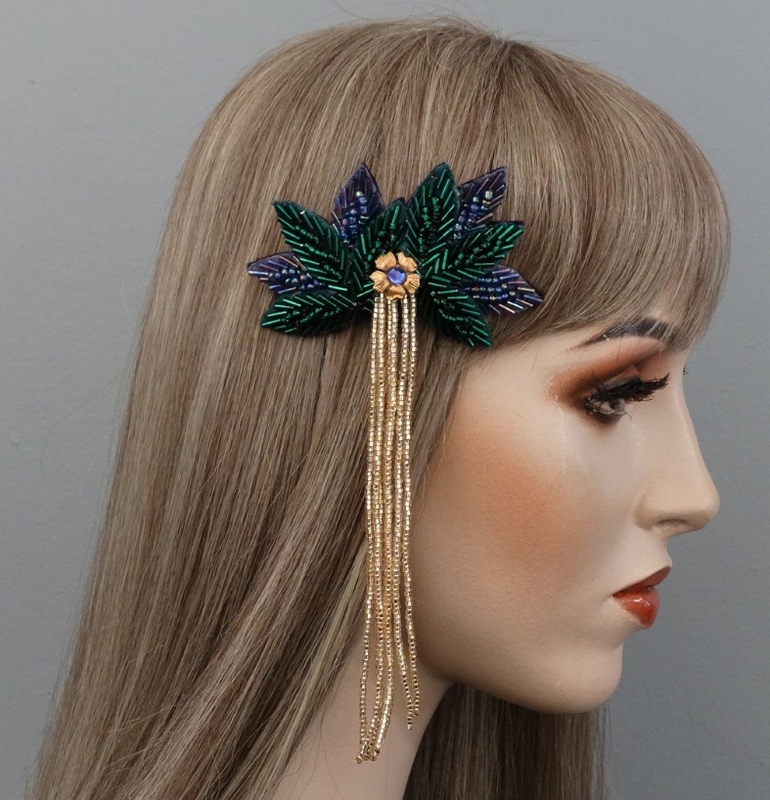 Marissa hair clip is fashioned with purple and green glass beaded leaves and gold glass beaded dangles. Finished with an amethyst rhinestone set in a metallic gold flower. Purple, Green, and Gold are the traditional colors of Mardi Gras.